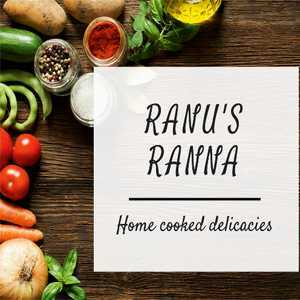 Ranu's Ranna offers you scrumptious north indian & bengali cuisine. Choose from the tasty combos, appetizers & desserts that are freshly made by me in my kitchen with love & care. Just order & you'll get the best meal you'd ever had. (I've also designed a special menu for all the ladies who fast, like I do, but can't cook vrat food for themselves).